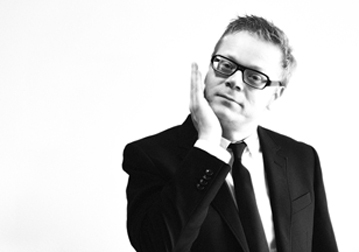 Mikael Carlsson: Bio & Choral Music | Santa Barbara Music Publishing, Inc. Composer and music producer Mikael Carlsson, born in 1971 in Halmstad, Sweden, devotes most of his composition activities to choral music. His a cappella suite Rainbow Suite, commissioned by the Swedish Church and premiered in 2009 by the Haga Motettkör of Göteborg, was recently released on CD coupled with a selection of his other a choral works, including Agnus dei, O Magnum Mysterium and Pater Noster. Mikael studied piano as a child but is an auto-didact when it comes to composition. His intimate knowledge of the choir comes from his own experience as a singer and devoted advocate of the modern choral repertoire. As a composer, Mikael has also written music for film and television. His main occupation is in the film music business, where he is a household name in the soundtrack industry, having produced over 120 score albums working with composers such as the multiple award-winning Patrick Doyle, Dario Marianelli, Johan Söderqvist, Nico Muhly and Ilan Eshkeri. Mikael is also frequently hired as a film music concert producer. He recently merged his two musical venues – choral and film – in a unique programme: a choral concert devoted to film music performed by the Coro Ziryab of Cordoba during the 7th International Film Music Festival in Ubeda, Spain. Mikael Carlsson has 2 titles published with Santa Barbara.